Save on Fork Terminals at The Dead Bell. Top brands include Electronics-Salon, & 3M. Hurry! Limited time offers. Offers valid only while supplies last. 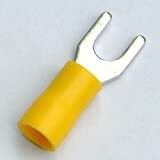 Electronics-Salon 100x Crimp Spade Wire Connector, 12~10AWG, #10, 48AMP, Yellow, Fork Terminal. 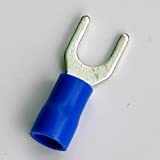 Electronics-Salon 1000x Crimp Spade Wire Connector, 16~14AWG, #10, 27AMP, Blue, Fork Terminal. 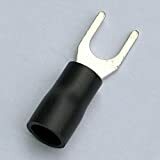 Electronics-Salon 100x Crimp Spade Wire Connector, 14~12AWG, #10, 37AMP, Black, Fork Terminal.